With Malaysian imports from Qatar rapidly accelerating, the bilateral trade volume is expected to hit the $1bn mark this year, a Malaysian official said here yesterday. Addressing the Malaysian Business Delegation meet organized by the Malaysian Embassy in Qatar and the Malaysia External Trade Development Corporation (MATRADE) in partnership with the Qatar Chamber (QC), Malaysian Trade Commissioner Omar Mohd Salleh said the bilateral trade between Qatar and Malaysia increased to $915m in 2018 from $670m in 2017. Malaysian total imports from Qatar also increased to $600m in 2018 compared to $260m in 2017. The meeting was held in the presence of QC First Vice- Chairman Mohammed bin Ahmed bin Twar Al Kuwari and other members of the business community in Qatar. Malaysia’s major imports from Qatar included commodities such as petroleum products and crude oil, while Malaysian exports to Qatar were mainly processed food, electrical and electronics, machinery, and other equipment. Salleh also said, “On the export side, I’m very positive. Qatar is currently very eager to attract foreign investment. There’s so many developments here and the Qatari government is also introducing so many incentives to the industries. That’s why we’re planning to bring more delegations to collaborate with Qatari businessmen; and then perhaps this will be one of the stepping stones into the GCC market”. Asked about Malaysia’s plans to increase its LNG imports from Qatar with the latter intensifying its LNG production, Salleh said, “We’ve been importing LNG from Qatar as well as from other GCC countries.. The planning will basically depend on the consumption. Now we are having so many processing plants in Malaysia. I could say that it’s a room to expand on sourcing those commodities from Qatar in the future”. Speaking during the event, Deputy Head of Diplomatic Mission at the Malaysian Embassy in Doha Mohamad Shahir Sabarudin also said that bilateral relations between both countries have been further intensified following the high level visits of Malaysian Deputy Prime Minister Dato’ Seri Dr Wan Azizah binti Wan Ismail to Qatar in November and the Amir H H Sheikh Tamim bin Hamad Al Thani’s visit to Malaysia in December. Sabarudin also said, “Both countries agreed to establish High Level Committee following the visits to implement the follow-up actions to be taken on the agreements reached by both leaders. The second meeting of the Joint Trade Committee (JTC) is also scheduled to take place in Malaysia by month-end to promote the trade volume between both countries”. “We have been given opportunities by the Qatari government for Malaysian companies to be involved in Qatar, particularly for the FIFA World Cup 2022 projects. Currently, we have Malaysian companies involved in different sectors in Qatar including the Hamad International Airport,” Sabarudin added. 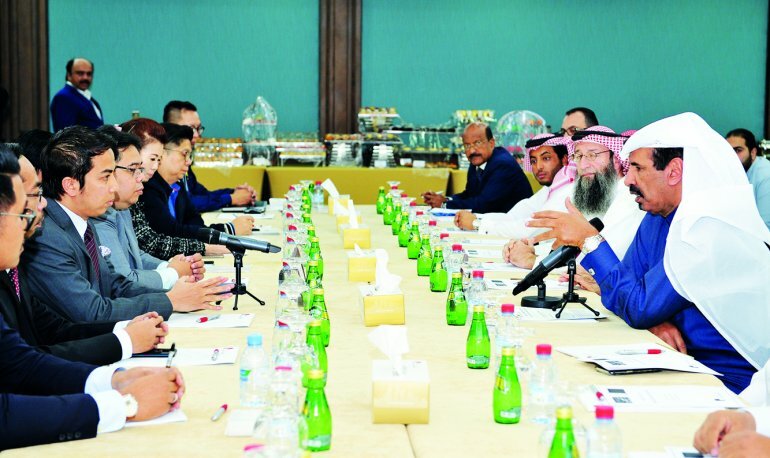 During the meeting, five Malaysian companies specializing in processed food, pastries, spices, and vegetable oil products met with their business counterparts in Qatar to seek potential partnerships and investments. The companies included Sydney Cake House Sdn. Bhd; Golden Fresh Sdn. Bhd; Jalen Sdn. Bhd; Adabi Consumer Industries Sdn. Bhd; and East Asia Palm Products Sdn. Bhd. The embassy also plans to bring another Malaysian business delegation to Qatar next month featuring companies engaging in medical devices, building materials, and facility management. All the represented Malaysian companies were part of MATRADE’s Mid-Tier Companies Development Program, with each company having an annual revenue of between RM50mn to RM500mn. According to figures released by MATRADE, exports of Malaysian mid-tier companies under the program increased by 6.8 percent, up to RM6.95bn in 2017.